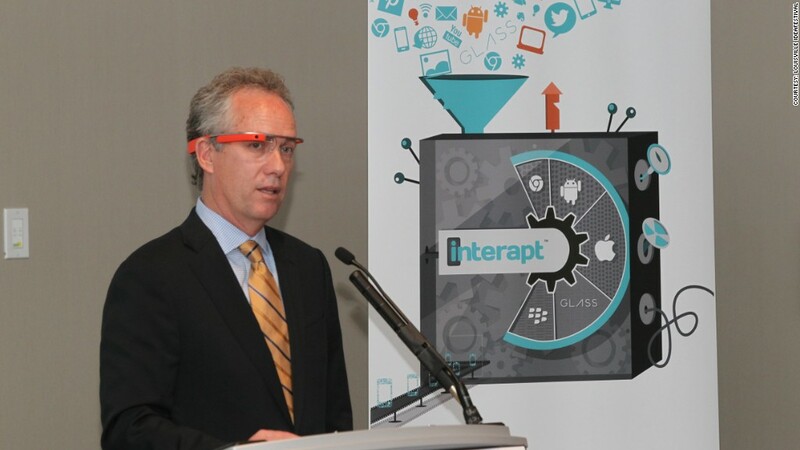 Mayor Fischer celebrates with Louisville firm Interapt, a Glass at Work developer. 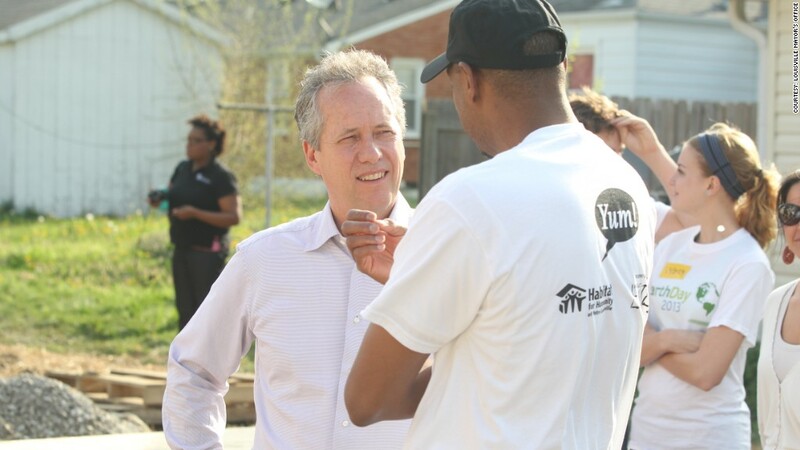 Here, Louisville, Ky., Mayor Greg Fischer discusses what the grant meant for his city. Not too long ago, "data" was a four-letter-word around Louisville's City Hall. No one talked about it, no one understood it and most importantly no one benefited from it. But in 2011, we started rethinking the way we used data in city government, and we're already seeing compelling results. Louisville's innovation team -- first funded by a $4.8 million grant from Bloomberg Philanthropies -- has provided us with new capabilities to spark and implement data-driven solutions to our biggest economic, systematic and societal challenges. Bloomberg Philanthropies' approach to "i-teams" blends perfectly with Louisville's focus on data and efficiency. And since the five-person i-team operates outside the boundaries of any single department, it has the freedom to think holistically. Old bureaucracy was stifling property development by limiting the ability of Louisville residents to get rezoning licenses in a timely fashion. To reduce rezoning approval times, the i-team worked with Louisville's Planning & Design Services department to transfer zoning cases online, so they could serve as case studies and templates for people to better understand the process. As a result, approval times fell by an average of seven weeks, and a resulting survey found customer satisfaction had risen by 50%. Louisville's third annual Give A Day week of service produced more than 144,000 volunteers. The i-team's approach is also agile enough to tackle social and humanitarian challenges. In 2012, we were seeing a major problem with pet adoptions, with only 30% of animals leaving shelters alive. So the i-team set a goal of increasing the live placement of animals to 90% within five years. A database was established to document every animal reported missing and found. It sends an automatically-generated email each day to those who have lost a pet, listing new animals found in the community. Today 77% of animals leave the shelter to join families. Most recently, the i-team has turned its focus to increasing international exports by local businesses. In 2012, Louisville placed 42nd in a ranking of 100 U.S. cities on the total value of city exports. The team is currently working with public and private stakeholders to increase by 50% the number of local companies exporting or expanding to a new foreign market within the next five years. This work cuts across a variety of industries -- from textile, chemical, and food and beverage companies to medical equipment suppliers. If past history is any guide, the i-team will succeed in this effort, too. These projects are just the beginning. We are scaling the methodology to address larger and more complex issues, such as the criminal justice system. The i-team is gathering data on inmates to understand who is incarcerated, why and if certain approaches are the best use of resources. This analysis can't be conducted with a simple data construct -- counting the number of occupied beds isn't enough -- but can yield valuable insights on subsets of the criminal population and the best opportunities for meaningful, targeted intervention. And through Louiestat, a performance dashboard designed to monitor and track city initiatives, we have the ability to measure our progress over time in these and other areas. I want city employees to see the benefit of innovative thinking and data-driven decision making. They are key to breaking through the inertia that can invade a local government, and a focus here ensures we don't end up recycling old ideas that no longer work. We can't afford to wait around for the federal government to give us permission to innovate and grow. In our constant pursuit of the next big idea, we have incorporated data and innovation into our DNA and will continue to put our i-team to work in helping us think of new ways to address old challenges. This is part of an exclusive series from CNNMoney, featuring op-eds from mayors who received grants from Bloomberg Philanthropies in 2011: Memphis' A C Wharton, New Orleans' Mitch Landrieu, Atlanta's Kasim Reed and Chicago's Rahm Emanuel.